Are you seeking a meaningful career change, additional income or a way to effectively care for others? A part-time or full-time career as a Massage Therapist may be an excellent solution. The number of Americans receiving massages has more than doubled in the last decade (now over 114 million treatments per year), and the profession has consistently been one of the fastest growing in the country in recent years. Ours is the most established and comprehensive program in the area with over 25 years of students graduated and working in spas, chiropractic offices, physical therapy businesses, and private practices. The school’s former 500-hour curriculum included training in anatomy and physiology as well as effective manual techniques that build solid, comprehensive skills. In keeping consistent with the National Board Standards, we are moving to a 750-hour program only offered once a year from January to November. We will be adding more clinical and practice hours to fine tune skills with clients. We are excited to be able to bring in people with structural issues who really need skilled hands to help them. We will also be adding more Kinesiology to our deep-tissue work. Our focus is on Therapeutic Massage, so our training includes two forms of Deep-Tissue Therapy as well as Swedish, Shiatsu, Prenatal Massage, Reiki I, Cupping, Thai Massage, Hydrotherapy, and some Reflexology techniques. Massage benefits the structure and physiology of the whole body, not just the muscles. As clients become more aware of how stress shows up in their physical body, Massage Therapists become catalysts for holistic improvements in their lives. It is incredibly rewarding work. A comprehensive program in therapeutic massage. The Wellness Massage Center & Institute has been in operation in St. Albans, Vermont since 1995. The dynamic 750-hour curriculum is grounded in science and effective techniques so that all students graduate with solid fundamental skills. We are a NCBTMB Assigned School. 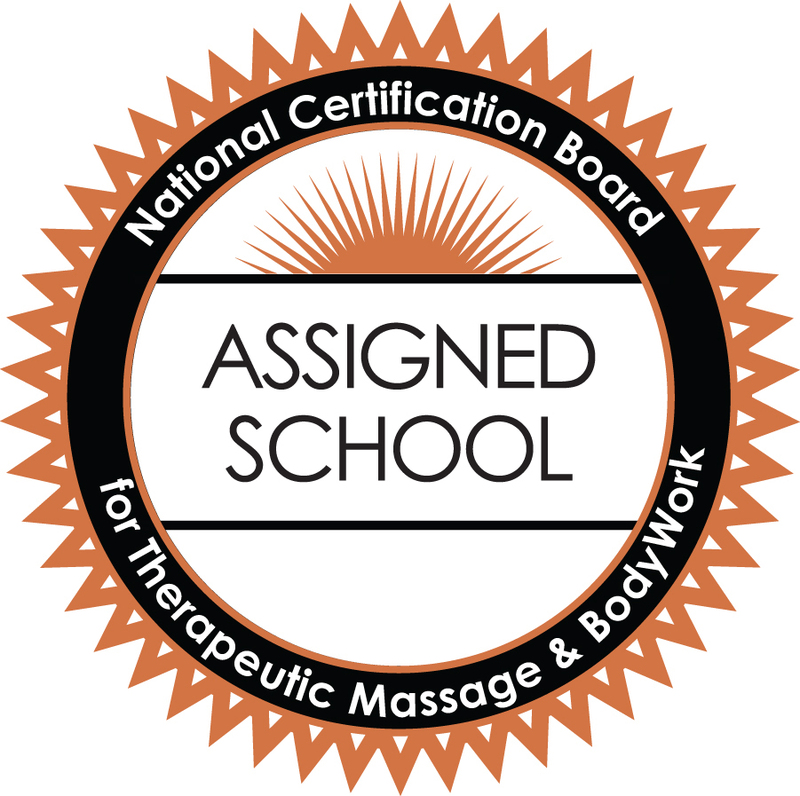 Special attention has been given to the requirements of the National Board of Massage (NCBTMB) so that graduating students are prepared to test for National Certification. We have former students working in spas, chiropractic offices, physical therapy businesses, and private practices. Experienced, accomplished faculty. Our faculty is comprised of Nationally Certified instructors with 30 years of combined bodywork experience. Our teachers have maintained thriving practices while regularly honing their own skills through continuing education. This experience and education translates to better training and more efficient learning for students new to the art and science of bodywork. Financial Aid available. Qualifying students have received grants through VSAC (Vermont Student Assistance Corporation) for up to $2,500 per semester.